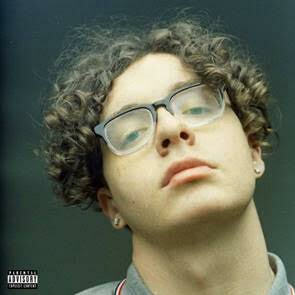 Atlantic Records and Generation Now welcome Louisville, KY-bred rapper JACK HARLOW as the newest member of its roster, by way of Atlanta based label imprint Generation Now. Harlow will celebrate this news with the release of his label debut mixtape, Loose, set to release on Friday, August 17th. Loose is heralded by the project’s lead single, “SUNDOWN,” released today along with its companion visual, which premiered exclusively via Billboard. Harlow followed GAZEBO with his first ever headline North American tour, followed by a string of select dates as support for Grammy-winning rock band Portugal. The Man. A number of live dates are scheduled through the summer, including eagerly awaited performances at such top festivals as Montréal, QC’s Osheaga Festival Musique et Arts (August 3rd), San Francisco’s Outside Lands (August 10th), Columbus, OH’s Breakaway Music Festival (August 24th and 25th), Seattle, WA’s Bumbershoot (September 1st), and New Orleans, LA’s Voodoo Music + Arts Experience (October 26th). Additional dates will be announced soon. Next Story → Christian Lalama Debuts “Tic Toc” Single On Atlantic Records! CMA Awards Adds Even MORE Performances and Stars To Lineup!